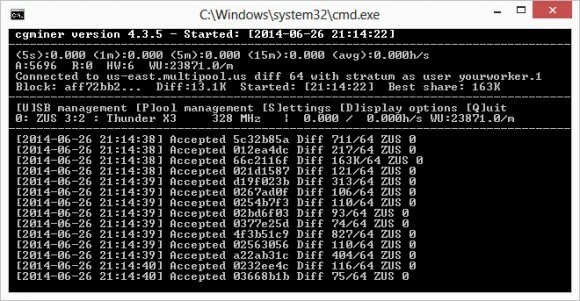 We have compiled a new windows binary of the cgminer 4.3.5 fork from the latest source with support for the Zeus-based Scrypt ASIC miners as well as Gridseed Scrypt ASICs by dmaxl. People had some trouble making the previous release work properly, especially if trying to run multiple different ASIC mienrs, so with the updated one things might be running a bit better. Do note that supports both direct serial access by specifying the COM port the miner is attached on or by using WinUSB drivers with the help of the the Zadig software (check the Readme file for more details).